If you need to share that Netflix password with someone, you shouldn’t be lazy about it. AS A RULE, you should avoid sharing your passwords with other people. With accounts being more personal and more data being saved on these accounts, there’s less need to do so. But if you want to share something like your Netflix password with a family member or friend, you can do so without the risk of it being intercepted. 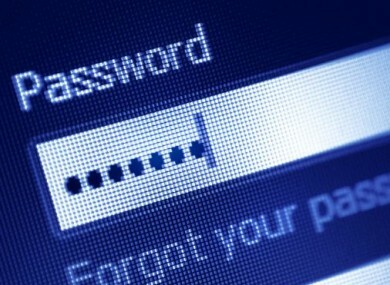 One possible way to share passwords is through a dedicated site like One-time Secret. A free, open-sourced site, it creates a link that only works once. Once the person who receives the link clicks on it, they can never see that link again. You can add an extra layer of security by including a passcode so if by chance someone else comes across the link, they have another hoop to jump through. The link is active for seven days but you have the option of burning (deleting) it at any time. If you want to share passwords more often, or you don’t feel a website offers the right level of security, then a safer method is to use a password manager. While their basic function is to save and remember complex passwords so you don’t have to, most of them like 1Password and LastPass allow you to share passwords through a similar method. Create a unique, one-time only link and share it with the person you want. The downside to this is like all password managers, many of them require you to pay for the product or sign up to a subscription. While you could share it through an encrypted messaging service like WhatsApp, it’s best not to as it can be difficult to remove all traces of a message when it’s sent. Facebook Messenger is testing out an encrypted messaging service which deletes messages after a certain amount of time. That could also be a way for you to do the same. Anything that involves clear text should be avoided entirely. That means writing it down in a text message, email, word document that you forward on or any other method where it could be public or around indefinitely. Even if you message it and then quickly delete it, you should assume that these are not secure platforms to share on. Always make sure you’re sharing through a service that offers the right precautions so nobody else can discover it. Email “If you need to share a password, here are the right ways to do it”. Feedback on “If you need to share a password, here are the right ways to do it”.